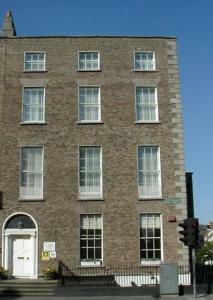 Leeson Inn Downtown, Dublin discount hotels and accommodation. The Leeson Inn-a prominent Georgia building built in 1810 and refurbished in 1998/99, offers a unique combination of stylish accomodation in a prime location at an excellent price. Located on Lower Leeson street, The Leeson Inn is in the city centre of Dublin's fashionable south side and five minutes walk from grafton Street, Ireland's premier shopping street. The Leeson Inn is 7.6 km from the airport. View photos, room descriptions and make online reservations at Leeson Inn Downtown. Save on room prices at Leeson Inn Downtown, Dublin.